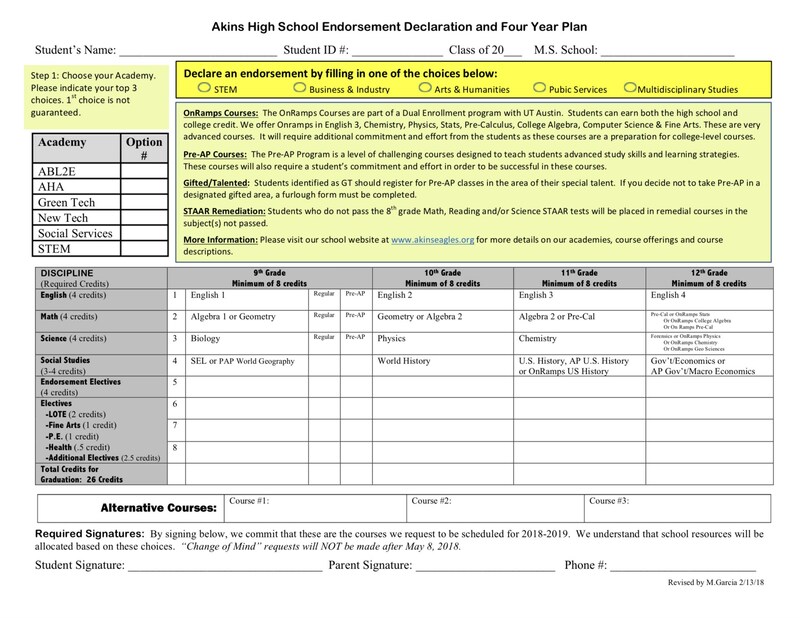 Are you planning to be a 9th grade student at Akins High School for the 2019-2020 School Year? 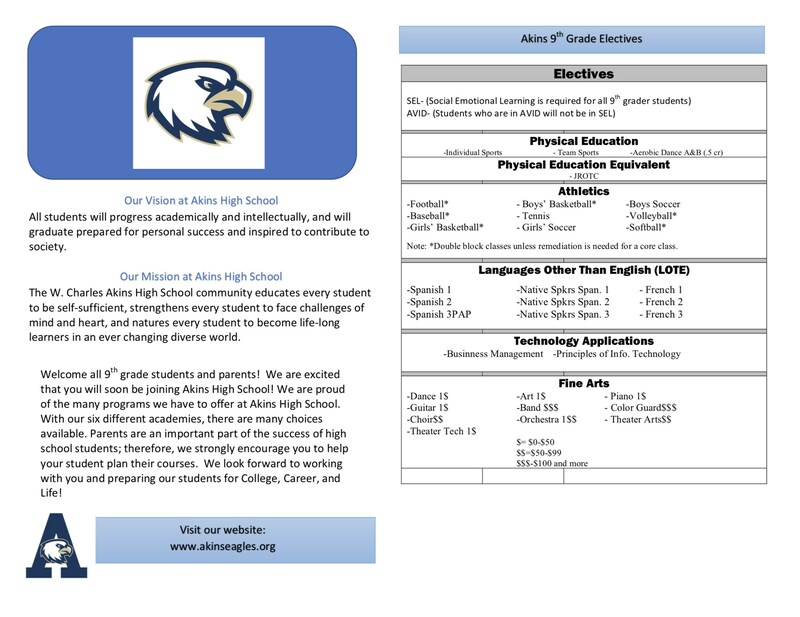 Plan on attending the Akins Academy Information Fair on Wednesday, Jan. 30TH, 6pm-8pm in the Akins Gym. Akins High School is composed of six academies. 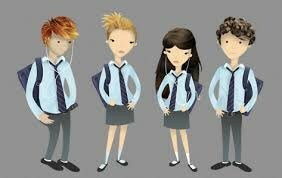 Students who attend Akins are part of an academy. 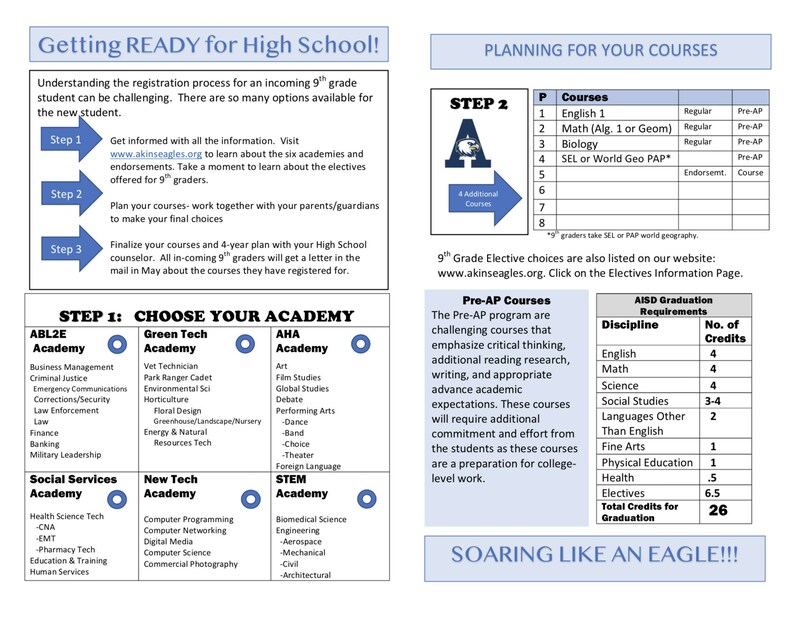 For the 2019-2020, Akins High School will have the Early College High School program. 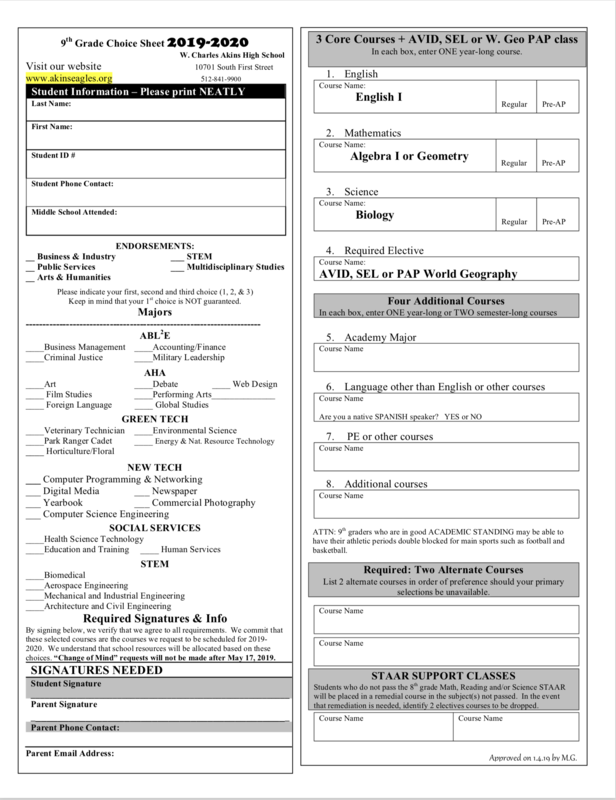 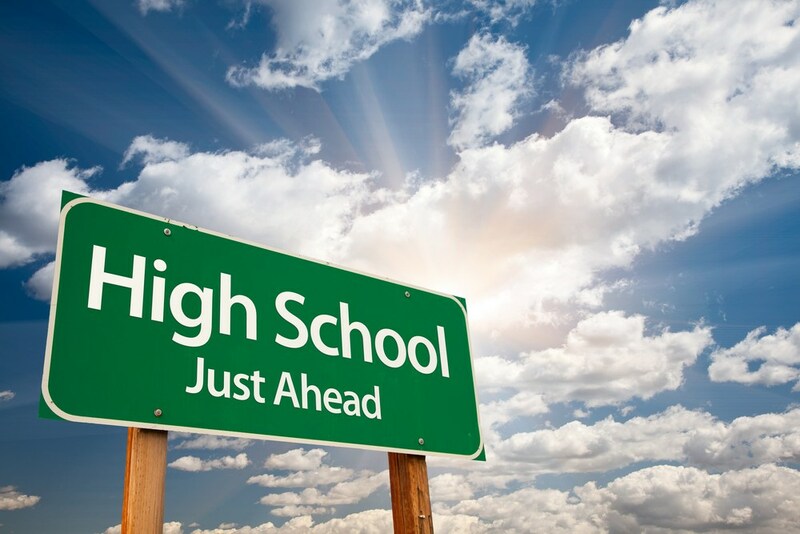 For more information about Early College High School, CLICK HERE. 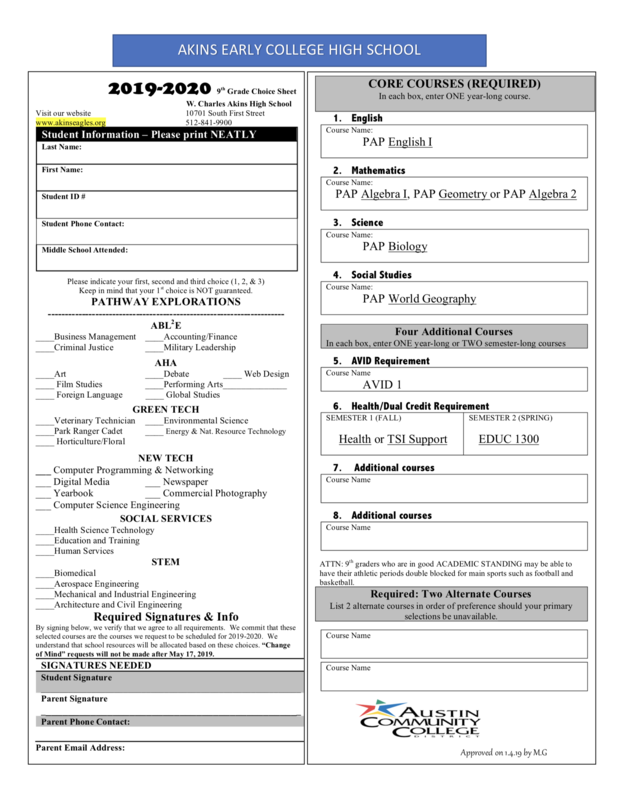 Click below on the links for brochures and flyers.